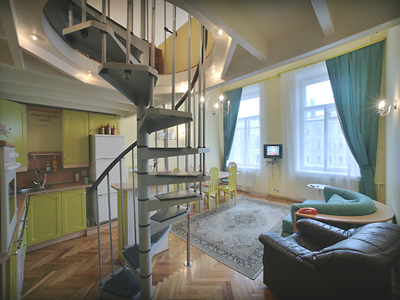 Apartment is located in the historic center of St.Petersburg. Its cozy 3 room two level apartment. Apartment is equipped with all necessary things. Winter Palace, Neva river, Russian Museum are very close to the apartment.